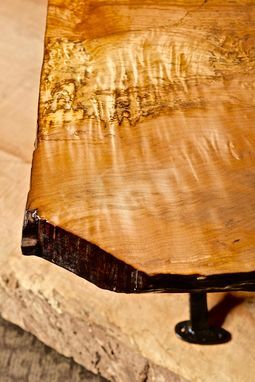 This particular piece is a beautiful figured Maple, with spalting throughout. 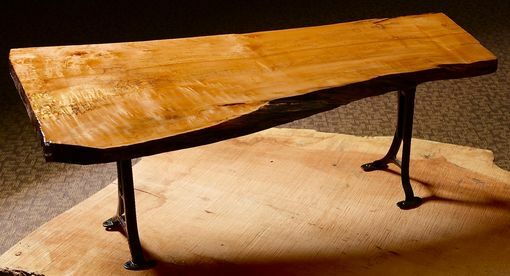 The characteristics are brought to life with multiple coatings of resin epoxy that give the table a hard, resilient finish while exhibiting the beautiful grain. 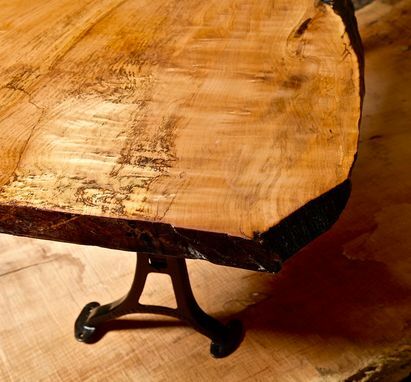 This slab was rescued from the forests of northern Washington. 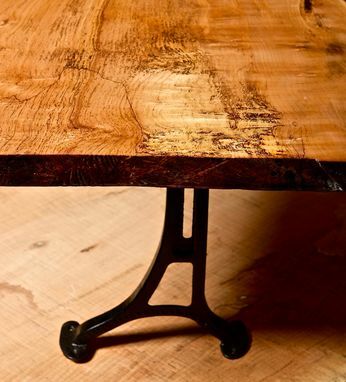 This table is guaranteed to bring a ray of light into any room you decide to use it in. This piece is a one-of-a-kind work of art, and like all of our pieces it comes with a certificate of authenticity from Erdei Designs. 4'9" X 21" (25 Board Feet).